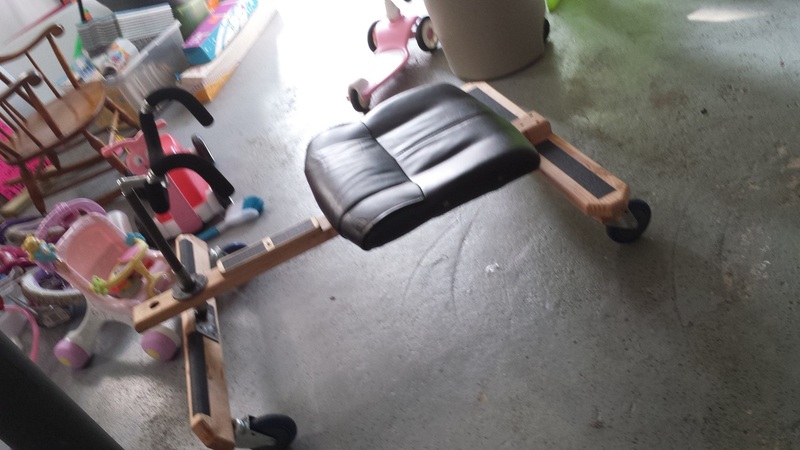 We bought the kids a ziggle and it looked really fun. 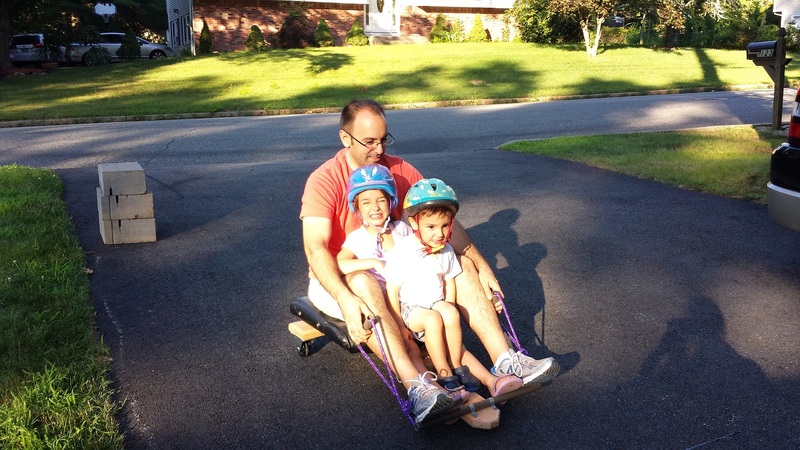 Since the weight limit on a ziggle is about 81 lbs, I decided to look for one I could use with the kids. To my surprise, there was no ziggle for adults at all...until now. 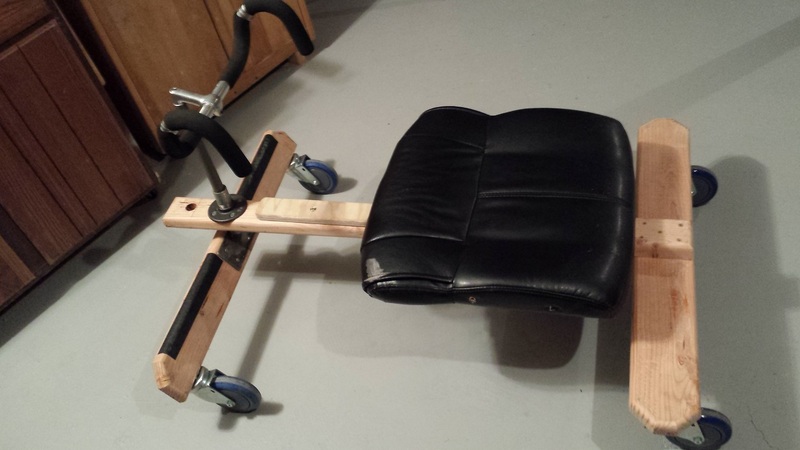 Below is my home made roller racer/ziggle I made from swivel wheels, wood, an old office chair, bike handle and pipe. First Prototype - failure. Couldn't move but a few inches. You'll have to see the 2014 video to see it in action but trust me when I say it is fun. 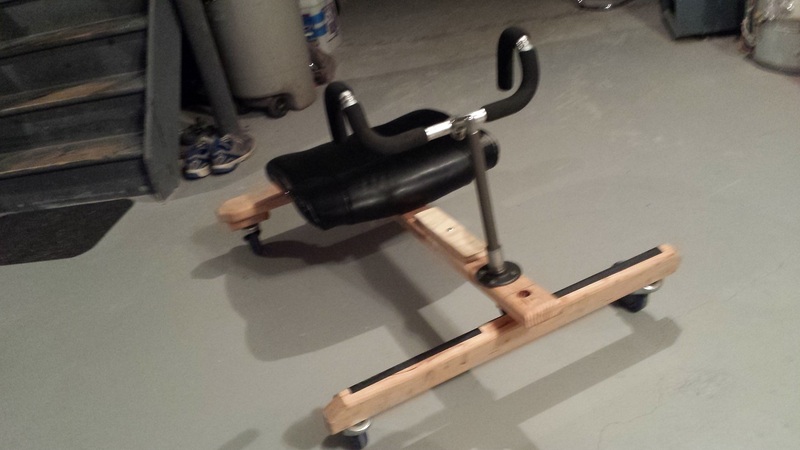 Simply move the handle bars side to side to move yourself forward. Hills are a lot of fun.